I previously wrote about my confusion over Lotus dredging up a one-off Lotus Evora ‘themed’ around the famous Esprit that everyone loved from 1977's The Spy Who Loved Me. 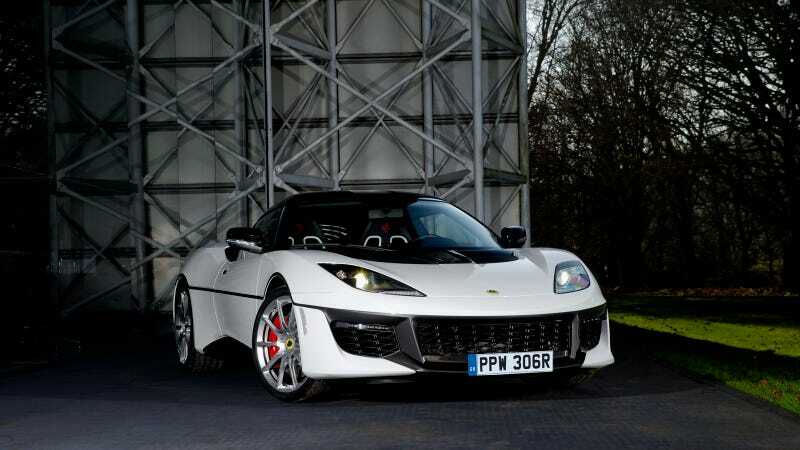 I said the Evora itself was good. I also said that such a tribute right now would not make any sense. It doesn’t make sense because that movie is hitting its 40th anniversary—an odd date to celebrate—and Lotus doesn’t make an Esprit, basically. To expand on that, Lotus hasn’t been the car of James Bond since 1981, there hasn’t been a James Bond movie since 2015, and there wont be another one anytime soon. This is, objectively, still a good car. It just doesn’t really make any sense to dress it up and pretend it’s the best Lotus of all time. It’s not that good. In fact, this comes across sort of desperate? Also, you can’t actually buy this one. If Lotus had waited until the 50th anniversary of the movie, we’d be ten years in the future, and they’d probably be rolling in liquid assets from crossover sales and could do whatever they want. Maybe they still will. Good car, nice plaid, but I’m not immediately reminded of anything other than my hope that Lotus can actually return to a point where it can do more good things soon. Again, Evora is good. This Evora is good. But it's just like, you know, desperate?